We start with Gayatri Chakravorty Spivak’s ‘Scattered Speculations on Geography’ – the lightly edited transcript of her 2012 Antipode AAG Lecture. The lecture took the form of ‘A conversation with Gayatri Spivak’, with Professor Spivak speaking to questions, posed by Antipode‘s Editorial Collective and others, of postcolonialism, the subaltern, cosmopolitanism, planetarity and worlding. Sébastien Breau’s ‘The Occupy Movement and the Top 1% in Canada’ is next – an essay that examines at the Occupy movement and public debate on rising income inequality. You can read more of Sébastien’s work on inequality (and contesting it) here. Gavin Brown and Helen Yaffe’s ‘Practices of Solidarity: Opposing Apartheid in the Centre of London’ follows; Gavin and Helen discuss their research here, and there’s a selection of Antipode papers on South Africa here. ‘Performative Research for a Climate Politics of Hope: Rethinking Geographic Scale, “Impact” Scale, and Markets’ by Jenny Cameron and Jarra Hicks looks at grassroots renewable energy initiatives and reflects on the ethics of the research process. For something in a similar register on activist research see here, and for something very different on climate change and political possibilities see here. Next is ‘Asylum and the Post-Political: Domopolitics, Depoliticisation, and Acts of Citizenship’ by Jonathan Darling. Jonathan carefully analyses the ‘post-political’ practices of UK asylum governance whilst remaining sensitive to acts of resistance and the very real possibilities they represent. See here for a similar argument about urban regeneration and gentrification in the UK. Elizabeth Cullen Dunn and Jason Cons’ ‘Aleatory Sovereignty and the Rule of Sensitive Spaces’ focuses on the rule of, and life on/in, borders and refugee camps. Elizabeth and Jason consider the work of Giorgio Agamben and go beyond it in interesting ways to capture the fleshy, messy, and indeterminate nature of these spaces. Complement the essay by reading this recent ‘postcolonial encounter with Agamben‘, which puts the philosopher’s insights to work in South Korea. ‘State Response to Contemporary Urban Movements in Turkey: A Critical Overview of State Entrepreneurialism and Authoritarian Interventions’ by Ayda Eraydin and Tuna Taşan-Kok follows; Ayda and Tuna discuss their research here, and there’s more on Turkey, the state, and commons here. Rosalind Fredericks’ ‘“The Old Man is Dead”: Hip Hop and the Arts of Citizenship of Senegalese Youth’ analyses the power of hip hop in the young, urban movement opposing the 2012 Senegalese elections. The spatial practices and geographical imaginations of rappers and their listens are examined, and hip hop is presented as both ‘medium of political identity formation’ and ‘language of resistance’. You’ll find Rosalind’s recently published edited book on the arts of citizenship in Senegal here. ‘Spaces of Uneven Development and Class Struggle in Bolivia: Transformation or Trasformismo?’ by Chris Hesketh and Adam David Morton engages with the politics of class struggle and state formation in modern Bolivia, exploring spaces of uneven and combined development and passive revolution. Adam discusses the paper on his excellent website/blog here. Gengzhi Huang, Desheng Xue and Zhigang Li’s ‘From Revanchism to Ambivalence: The Changing Politics of Street Vending in Guangzhou’ looks at exclusionary practices of revanchist urban politics in China, how street vendors cope by struggling to undermine them, and the state’s response. There’s more here on street vendor and artisan resistance in Mexico, and here on the regulation and re/production of economic space in Yemen. ‘The Crisis of the “Disadvantaged Child”: Poverty Research, IQ, and Muppet Diplomacy in the 1960s’ by Paul Jackson follows; Paul discusses his research in a video abstract here. ‘Encountering Poverty: Space, Class, and Poverty Politics’ by Vicky Lawson and Sarah Elwood focuses on moments of encounter in which middle class people come into contact with ‘poor others’, exploring where, when and how these might lead to shifts in neoliberal, individualised understandings of poverty. The research comes out of Vicky and Sarah’s ‘Relational Poverty Network’, which aims to enliven and expand poverty research by bringing scholars, students, activists, and policy-makers into new conversations; you can read more here. ‘Not Everyone Has (the) Balls: Urban Exploration and the Persistence of Masculinist Geography’ by Carrie Mott and Sue Roberts has featured on AntipodeFoundation.org a couple of times in recent months; see Carrie and Sue’s video abstract here, and Bradley Garrett and Harriet Hawkins’ critical response (with Carrie and Sue’s reply) here. Pete North’s ‘Ten Square Miles Surrounded By Reality? Materialising Alternative Economies Using Local Currencies’ explores the success of alternative currencies in facilitating convivial, sustainable localised economies. Based on fieldwork in the US, the UK, and Germany, it asks ‘for whom do the currencies work?’ and ‘who struggles to use them?’. Pete mobilises insights from a diverse economies perspective, which he considers further in this book review; see also our recent virtual issue on diverse economies. Barbara Van Wijnendaele’s ‘The Politics of Emotion in Participatory Processes of Empowerment and Change’ reflects on how participatory research and practice is often so focused on ‘cognitive and analytical knowledges’ as to be blind to ’emotional and embodied knowledges’. You’ll find more of Barbara’s work on participation and the role of emotions in ‘confirming or subverting processes of oppression’ here. ‘A Visceral Politics of Sound’ by Gordon Waitt, Ella Ryan and Carol Farbotko draws on ethnographic research of a Climate Camp parade in Australia to explore the role of sound—flows, pulses, beats—in the reproduction, and transformation, of beliefs, subjects, and places. See here for more on how bodies are mobilised in public political performances. Last but not least, Japhy Wilson’s ‘The Shock of the Real: The Neoliberal Neurosis in the Life and Times of Jeffrey Sachs’ puts Slavoj Žižek’s critique of ideology to work in seeking to account for the persistence, and transformability, of the neoliberal project. The evolution of neoliberalism, Japhy argues, should be understood not as the meticulous manipulation of social reality but as a series of increasingly desperate attempts to hold the very fabric of reality together – a form of ‘obsessional neurosis’. Japhy’s engagement with the work of the economist Jeffrey Sachs continues in his forthcoming book Jeffrey Sachs: The Strange Case of Dr. Shock and Mr. Aid. 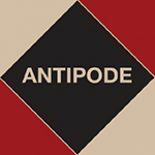 This entry was posted on 7 January 2014 by Antipode Editorial Office in Other and tagged Agamben, alternative currencies, anti-apartheid struggle, asylum, citizenship, class, climate politics, cosmopolitanism, diverse economies, emotion, encounter, ideology, neoliberalism, participatory research, politics of sound, post-politics, poverty, protest, revanch, sovereignty, state authoritarianism, television, the Occupy movement, uneven development, urban exploration.